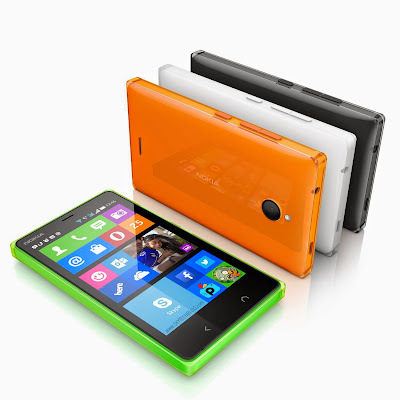 Microsoft has finally announced the Nokia X2 Dual SIM, the successor to the Nokia X. Nokia X2 Dual SIM has a 4.3-inch WVGA screen and it is powered by a 1.2 dual core Snapdragon 200 processor. 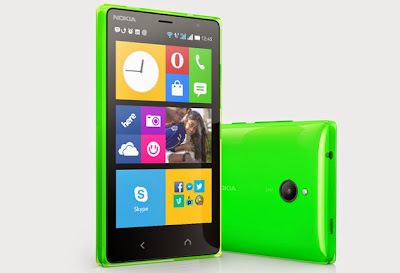 It runs on Nokia X software platform 2.0 based on Android 4.3 Jelly Bean. There’s a 5-megapixel auto focus rear camera with LED flash with improved video recording upto 720p HD and a 0.3 megapixel front-facing camera for Skype and video calling. Ram is also increased and now its 1GB along with 4GB of internal storage and Micro SD card slot for further expansion. It comes with Nokia HERE maps on Nokia MixRadio and other third party apps which can be downloaded through Nokia store. Due people complaining about lack of a Home key keeping that in mind this time Nokia X2 has a home and a back key, so that you can you use the back button to go back and for multitasking and the home button to directly go to the start screen. The Double tap to wake up, Fastlane features is now improved and more new features added. ● 5MP Auto Focus rear camera with LED flash, HD video recording. The Nokia X2 Dual SIM is priced at 99 Euros excluding Tax and Subsidies (Rs. 8090 approx) and will come in glossy green, orange, black, glossy yellow, white and matt dark grey and It is available in select country starting today. The India launch of the Nokia X2 Dual Sim is expected soon.